Realtors and Property Managers specializing in Destin Real Estate Sales, Rentals, and Vacation Rentals in the area along Scenic Gulf Drive also known as Scenic 98 in Destin and Miramar Beach, Florida. Please browse through our site to explore the communities of Condos, Town Homes, and Homes that make up the Scenic Drive along the sugary white beaches in Destin and Miramar Beach. You'll catch glimpses of the incredible scenery from water colors of deep blue to emerald green, wild sage colored sea oats, and of course, our snow white beaches! Whether you are looking for a beach front condo, home, or town home, with a water view or a cottage within a block to the beach for sale or for lease, you'll find many choices at affordable prices! We want to be your Realtors and look forward to helping you find the perfect vacation home or primary residence. We live in this area and know it well. This is our niche area! Let us work for you. Available Destin properties for sale along the stretch of beach on Scenic 98 from Crystal Beach in Destin to the Mainsail Condos in Miramar Beach are represented in our search pages. We have created easy searches for you from our local Multiple Listing Service (MLS). You'll find quick searches by price, location, and development. Or...let us create a specific MLS search for youl! Don't miss our Featured Listings too! Call us or send us an email. We'd like to hear from you! If you are looking for a vacation rental in the Scenic Gulf Drive area, please visit our Destin vacation rental web site! Let us help you find your next property! We are buyer's agents! 1. Find the best property for you at the best price! 2. We will provide you with the latest Comparative Market Analysis to ensure that you know the value of the property you are buying. 3. We will research the property to provide you with all the relevant information we can find to ensure you are making an informed decision. 4. We will help you negotiate the best price! We won't let you over pay! 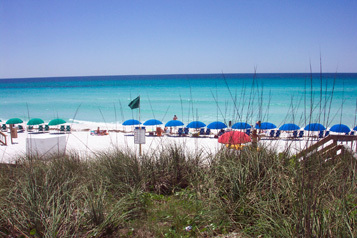 Long Term Rentals in Paradise Retreat in Destin! If you are a seller in the Destin area, we'd like to help you! We are looking for more listings! Inventory is low and buyers are coming back! Home Loan Rates in your area.